In August, members of the MSU PAA board met in Chicago to update the board’s mission statement. 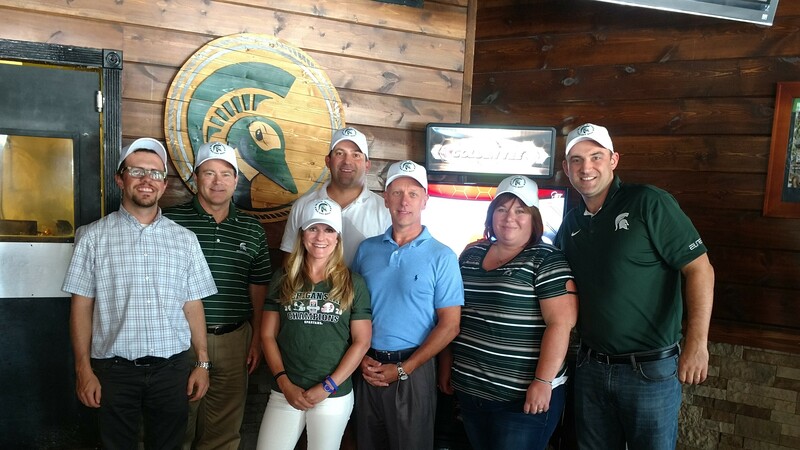 The team met at a fellow Spartan Alumni’s bar – the Wild Goose Bar & Grill. Owner, Andrew Van Ermen, gave the team official Wild Goose hats which they proudly displayed in the team’s photo. Updating the mission statement of the board will help give the group new purpose and focus for the future. The proposed mission statement will be shared with current and past board members for feedback, finalized and then voted on at the Fall board meeting in October. Many thanks to Matt McNichols who led the brainstorming session using an industry proven mission statement creating process. Once finalized, we will share the new statement with fellow Alumni! More to come in the Fall of 2017!